Hair care and hair styling are in-demand skills, and if you have a love and talent for both may be it is time to turn your passion into a career. The Diploma in Hair Care and Hair Styling – Level 3 will guide you on how to pursue your career as a professional hair stylist. It is an exciting career with plenty of opportunities in multiple industries, from fashion to movie sets, theatre and production, styling brides, to special occasions and private clients. The course will cover the basics to advanced techniques on how to increase your hair care and hair styling skills to a professional level. You will enjoy an extended career, which allows you to start your own beauty salon, work as an independent hair stylist or be employed in a large franchise where you are recognised all over the world. The opportunities are endless and dynamic. 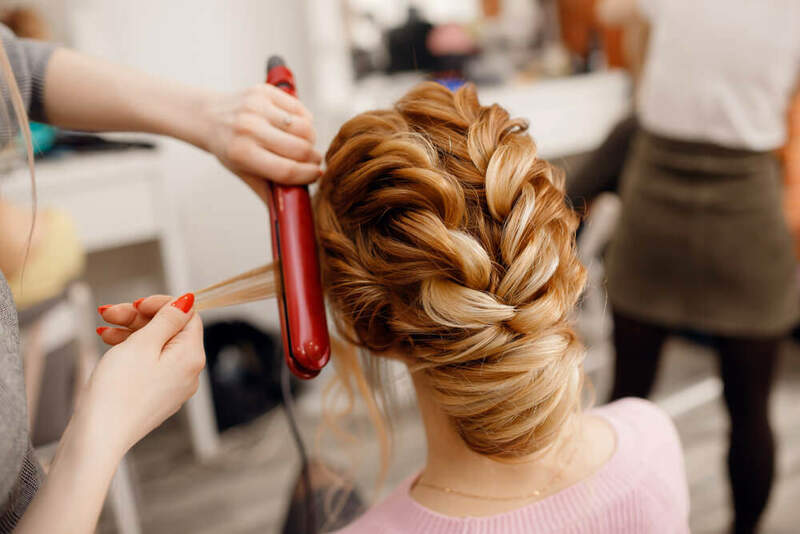 The Diploma in Hair Care and Hair Styling – Level 3 will educate you on different hair styles, how to identify head shapes and which style suits each client best. The course is packed with valuable information where you not only style your clients’ hair but can also give them tips and advice on how to care for their hair at home. As long as you are enthusiastic about hair, you will benefit from this course. Whether you are new to the industry or already trained as a hair stylist looking to get qualified, the course will confirm your credentials and give you industry-based recognition. Have a clear understanding of your job role as a hairstylist. Learn how to create different hair styles. Have a sound knowledge of hair care, the best products and hair treatment methods. Learn about hair colouring, and how it should be done. Learn how to apply hair extensions. Gaining a qualification as a hairstylist will enable you to continue to progress in your career in the beauty industry. Upon the completion of this course, you will be awarded the Level 3 Diploma in Hair Care and Hair styling by ABC Awards. The Certification will also include the summary of units learned. Each unit will include the specificities studied. You will gain a professional qualification and be viewed as a marketable candidate by potential employers who will recognise your skills and commitment demonstrated while following this course. Once you successfully completed Level 3 Diploma in Hair Care and Hair styling, you will gain an accredited qualification that will give your career the jumpstart you have always wanted. With this qualification you can further expand your education or go onto work in numerous positions that will also put you in line to demand a higher salary or job promotion. The average UK salary per annum according to https://www.payscale.com is given below. 07. How to Wash Your Hair?